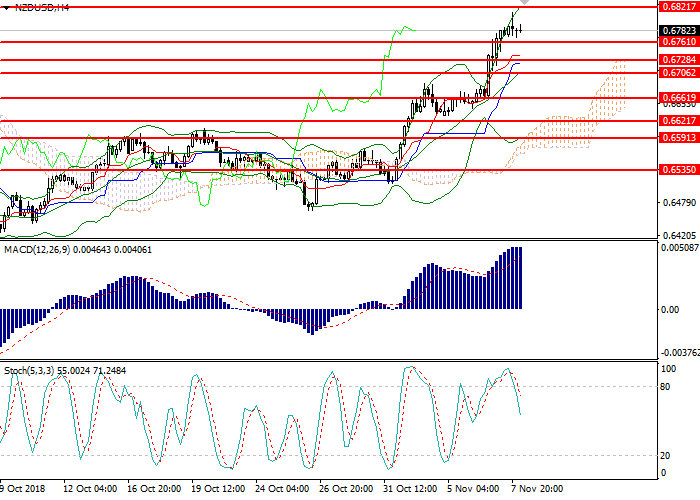 Yesterday, the NZD/USD pair strengthened after the release of strong data on the labor market in New Zealand. Also, USD is under pressure of the results of US elections. Q3 Unemployment Rate in New Zealand decreased to 3.9%, which is 0.6% lower than forecast, Participation Rate increased by 0.2%, and the Employment Rate increased by 1.1%. On Wednesday, RBNZ announced an interest rate decision, which stayed unchanged. The fall of the instrument was prevented only by the significant reduction in US consumer lending. However, the results of the US mid-term elections affect USD negatively. The Democratic Party won a majority in the House of Representatives but the Republicans managed to retain control over the Senate, so the current administration may experience difficulties in the implementation of domestic policies. Today, investors are focused on the Fed meeting at 21:00 (GMT+2). The regulator may leave the rate at 2.25% and explain its further actions for 2019. The market expects another three rate hikes next year but the President’s pressure and the trade conflict with the PRC could make the FOMC slow down the rate of monetary tightening. On the 4-hour chart, the instrument was corrected to the upper border of Bollinger bands. The indicator is directed upwards, and the price range widened significantly, reflecting the further growth. MACD is in the positive zone, its volumes grow, keeping a strong buy signal. Stochastic left the overbought area, forming a sell signal. Resistance levels: 0.6821, 0.6873, 0.6910. Support Levels: 0.6761, 0.6728, 0.6662, 0.6591, 0.6535. 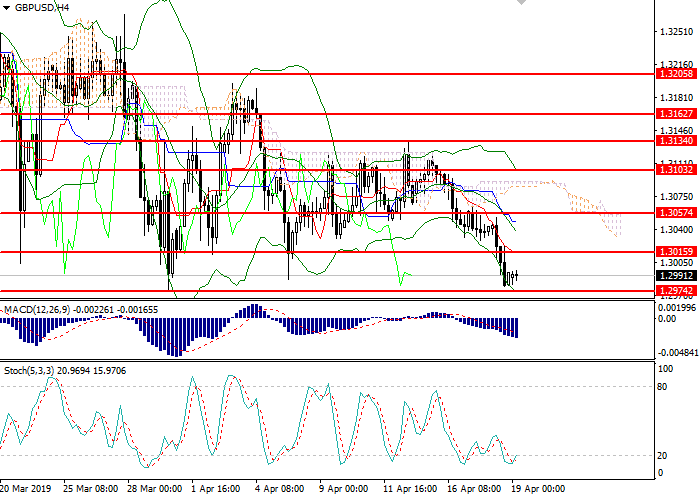 Long positions can be opened above 0.6824 with a target at 0.6870 and stop loss 0.6805. Short positions can be opened below 0.6755 with the target at 0.6675 and stop loss 0.6780.